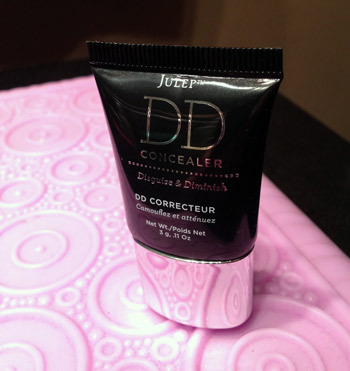 THE SKINNY: I'm not really sure why Julep didn't just call it concealer, but the new DD Concealer is a nice addition to the brand's expanding skincare line. The small creamy concealer goes on easy -- just a dab has a lot of coverage -- and holds all day. It worked great at covering up a small zit and some under eye darkness. This product claims a lot of long-term effects, but those are hard to see. I'll give it the thumbs up for good color (it comes in light, medium and dark) and coverage. KEEP OR TOSS: Keep. A little expensive but it works as advertised.